THERE has been much talk and conjecture recently on the possibility of employing a series of elevated monorail systems to help relieve the growing traffic problem that has been plaguing our country’s highways and railroads in the past few years. 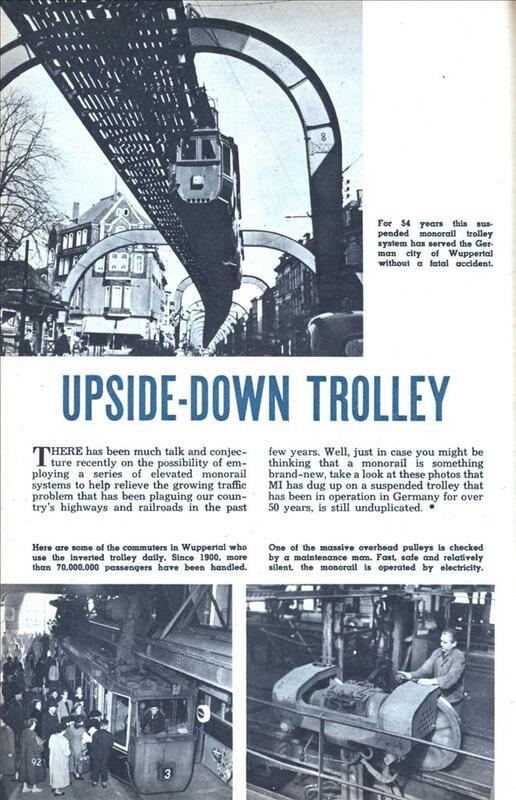 Well, just in case you might be thinking that a monorail is something brand-new, take a look at these photos that MI has dug up on a suspended trolley that has been in operation in Germany for over 50 years, is still unduplicated. There is certainly a lot of historic information about this system and the area on the internet. There was a similar trolley featured in the 1966 film “Fahrenheit 451.” That scene may have been filmed in France, however. Rick Auricchio: Correct. the film was shot in England with the exception of the monorail scenes at a test track in France (now dismantled). 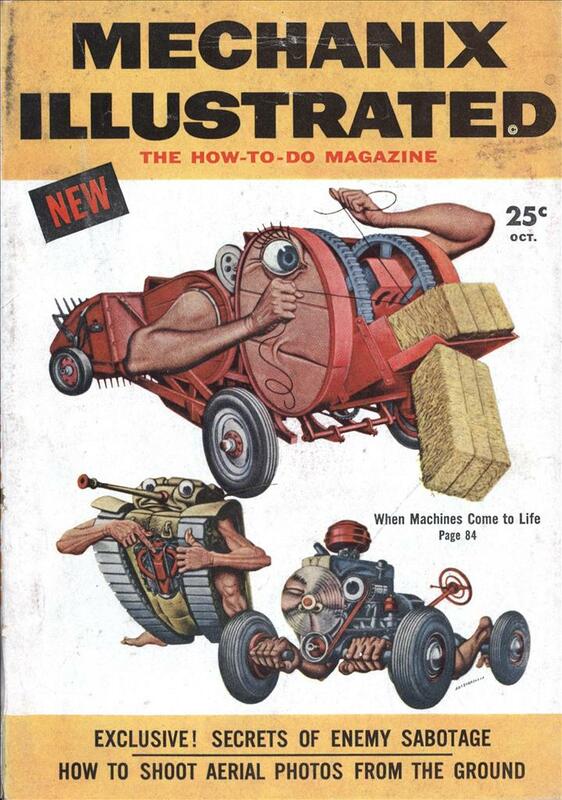 Look at the cover, the first transformers. Monorail monorail… what’s that you say? Well, sir, there’s nothing on earth like a genuine, bonafide, electrified, six-car monorail! Firebrand, every time they discuss high speed rail I think of that episode.